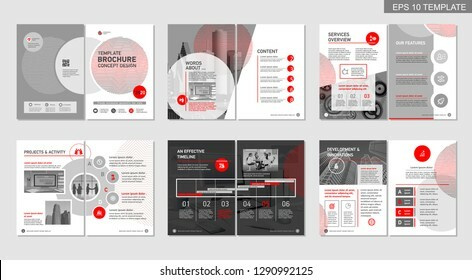 Vector illustration in rank M-rank: Brochure creative design. Multipurpose template, include cover, back and inside pages. Trendy minimalist flat geometric design. Vertical a4 format.